Ever a charming destination, Old Trafford has been grateful to house numerous servants over the years. These players have aided the club significantly, and have ensured that the illustrious trophy-room stays endowed with pieces of silverware. However, it is those that stick with the side through thin and thick and ensure their role is immense are the ones that are rewarded, and often carve a lasting niche into the hearts of supporters. Now, one such player has been awarded a year-long extension to his days at the Mancunian side. 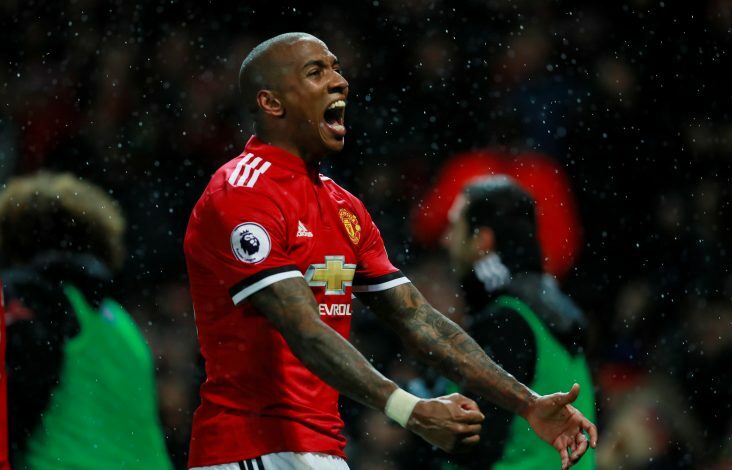 As per Sky Sports, Manchester United have activated the one-year extension clause in Ashley Young’s contract, which will mean that the 32-year-old will continue to render his services to the Premier League club. Having been signed from Aston Villa back in 2011, Young has continued to remain one of the few players that have always seen some sort of task or the other handed to them at the club. Initially functioning as attacking winger, wherein he delivered memorable performances – the most illustrious being his brace during the 8-2 thrashing of Arsenal – his role has evolved considerably lately. Under Jose Mourinho, the veteran Englishman is deployed primarily as a full-back, and he has made the position his own. Apart from being a reliable conduit and ever an attacking threat, over the past few months, he has even proved his defensive prowess to be of superior quality. Such are his antics that despite his age, he has found a potential place in Gareth Southgate’s English national side. At Old Trafford, he has done a phenomenal task of displacing form-shy Luke Shaw from the spot quite well. More importantly, his consistent success means that Mourinho wasn’t required to worry all too much about making a signing in that area. While such extensions are usually done to ensure players are barred from talking to other clubs over a potential exit, in this case, one can almost be assured that United are buying more time before a worthy successor can be bought or bred.